Research on the antioxidant effects of vitamins and minerals are already past! 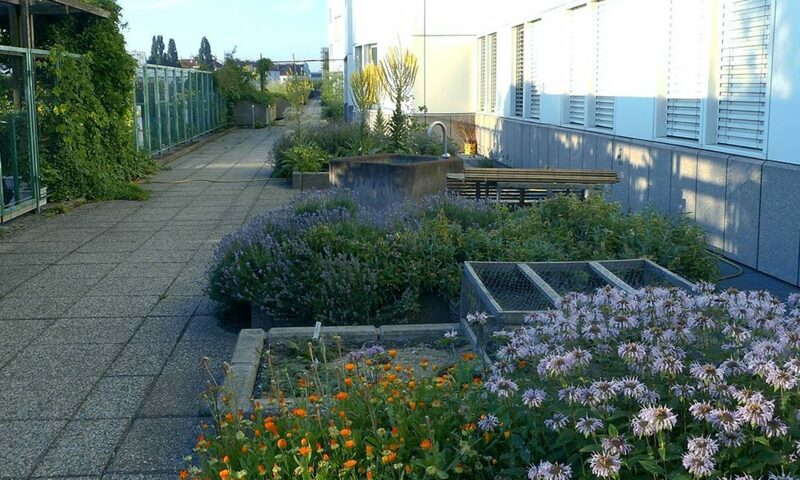 Now the focus is research on plant antioxidants. These are the conclusions from the meta-analysis of almost 300,000 scientific publications about antioxidants. Is this related to scientists’ unfulfilled expectations on vitamins? The intensity of biological oxidation processes is associated with the aging and progression of various inflammatory diseases, including autoimmune diseases, cardiovascular diseases, diabetes and cancer. Antioxidants – natural or synthetic compounds that prevent oxidation – have been expected to provide protection or therapeutic assistance in the fight against inflammatory diseases and the aging process. An international team of scientists headed by Dr. hab. 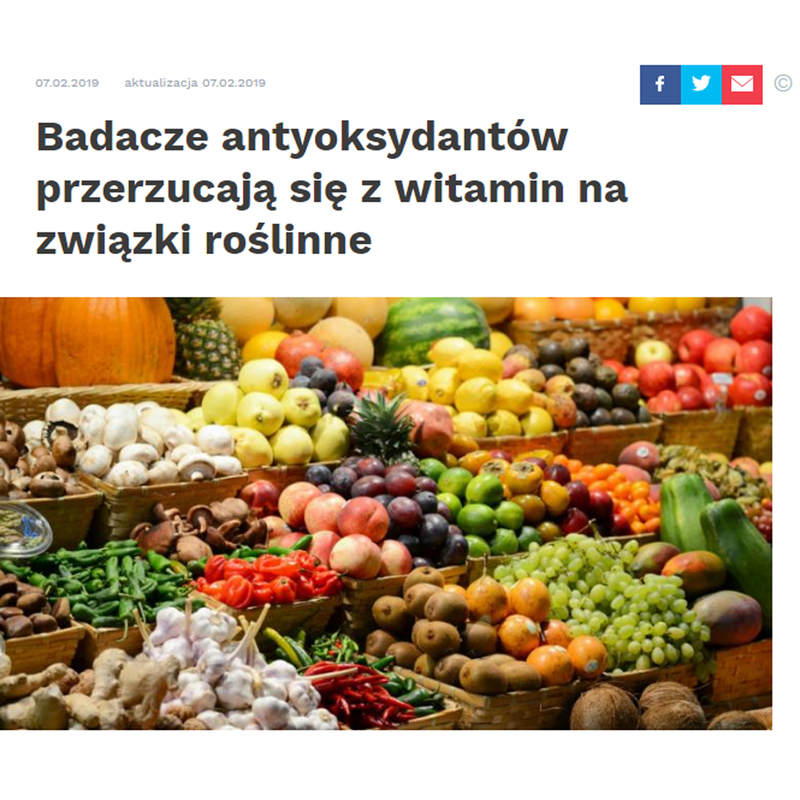 Atanas G. Atanasov from the Institute of Genetics and Animal Breeding of the Polish Academy of Sciences analyzed 299 602 scientific articles on various aspects of antioxidant activity. A certain trend has been noticed: the attention of scientists from around the world has moved from studies of antioxidant vitamins and minerals (these were popular research area before 2000) to studies of antioxidant plant compounds (such as curcumin from turmeric or resveratrol from red wine). The results were published in the journal Oxidative Medicine and Cellular Longevity (https://www.hindawi.com/journals/omcl/2019/8278454/). “The reason for transition of the scientific attention may be that clinical trials involving many antioxidant vitamins and minerals did not meet high expectations and did not provide the expected health benefits” – says Dr. Atanasov in a release sent to PAP. As explained by the scientist, such antioxidants of plant origin occur even in fresh fruits and vegetables. “We, as scientists, hope to gain a better understanding of the mechanism of action of these molecules in order to be able to use them in the prevention and treatment of diseases,” the scientist concludes. The original scientific study: Oxidative Medicine and Cellular Longevity. Antioxidants: Scientific Literature Landscape Analysis (2019). Andy Wai Kan Yeung, Nikolay T. Tzvetkov, Osama S. El-Tawil, Simona G. Bungǎu, Mohamed M. Abdel-Daim, and Atanas G. Atanasov.